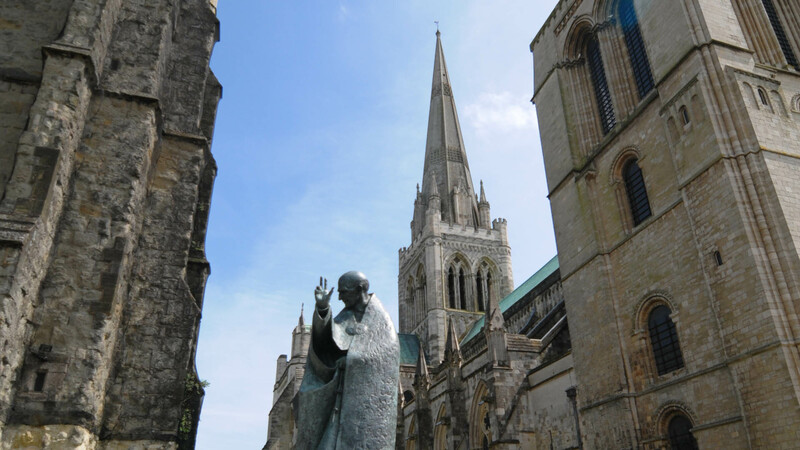 We were appointed by Chichester Cathedral in 2004 to design and commission a new sound system. 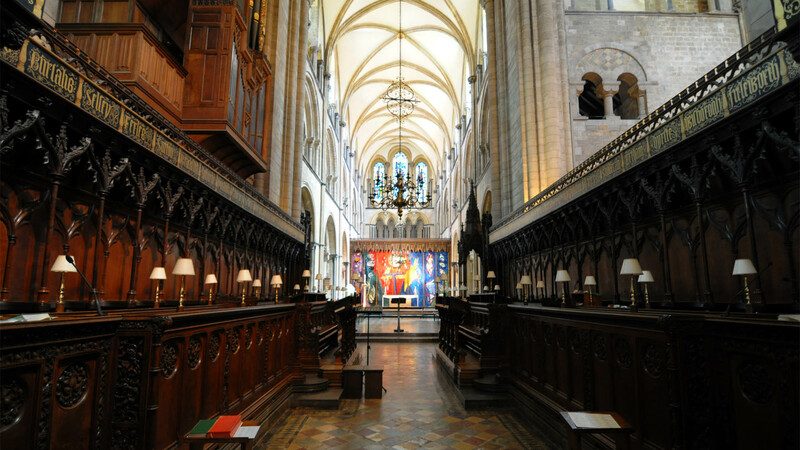 The Cathedral is used for an unusually wide variety of services, performances and community events, requiring a large number of fixed and roving microphones, with loudspeaker coverage ranging from individual zones for small functions to the whole Cathedral for large services. The loudspeakers and cabling were required to have minimal visual and material impact on the building fabric. We spent considerable time during the design process producing visualisations of the loudspeakers in-situ for the Client’s approval. 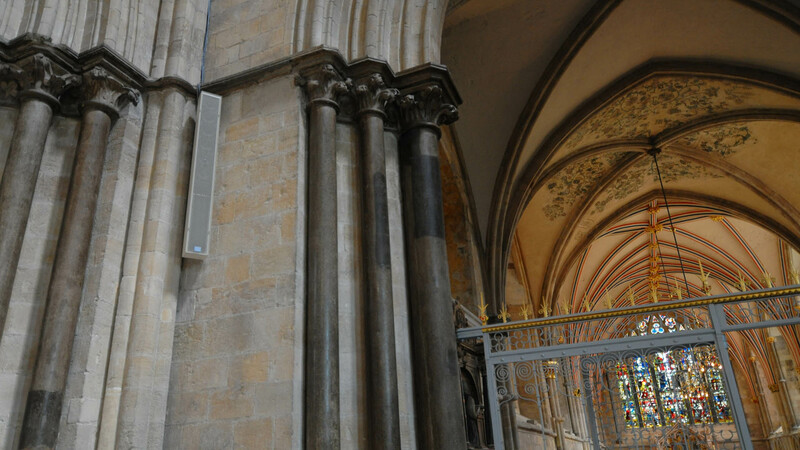 The final design for the Nave used a single very tall, slender column loudspeaker, which was digitally steerable to allow the coverage pattern to be precisely tailored to the congregation area without tilting the loudspeaker. 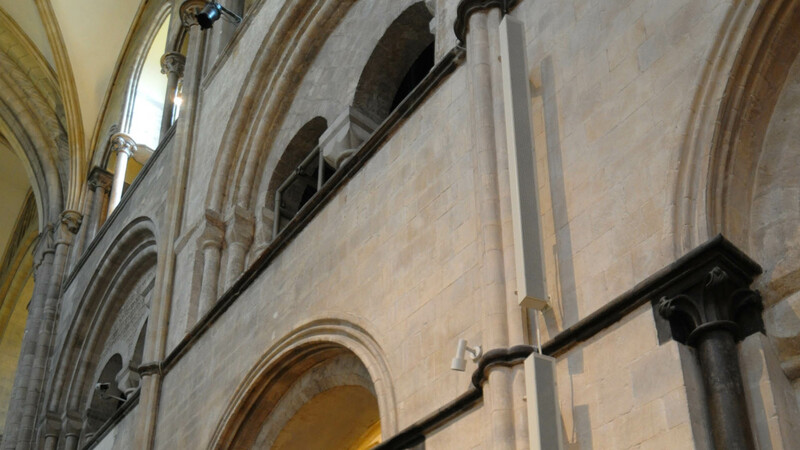 A custom split version of a proprietary loudspeaker was used so as not to obscure the stonework stringer course at high level. 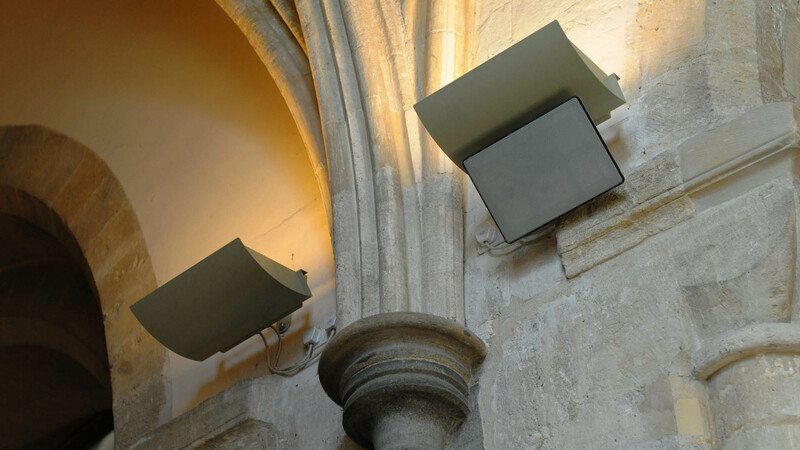 Elsewhere in the Cathedral, we used small, visually discreet flat-panel loudspeakers concealed within choir stalls and beneath the existing lighting fixtures. 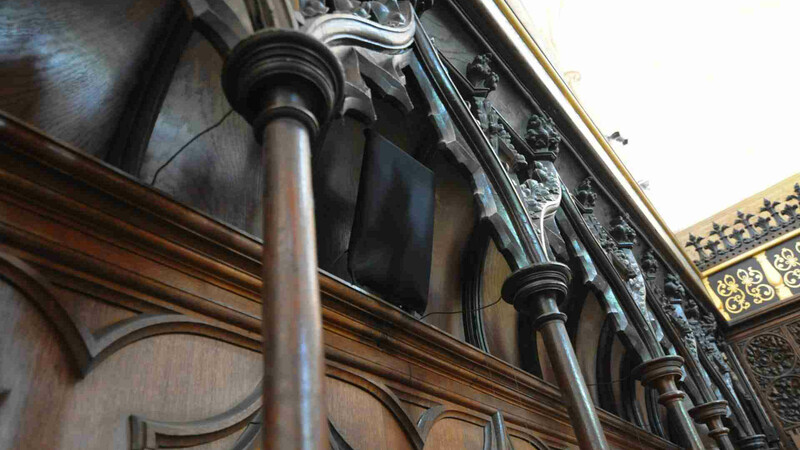 The system had to be easily operated by vergers, clergy and administrative staff rather than by trained sound technicians. 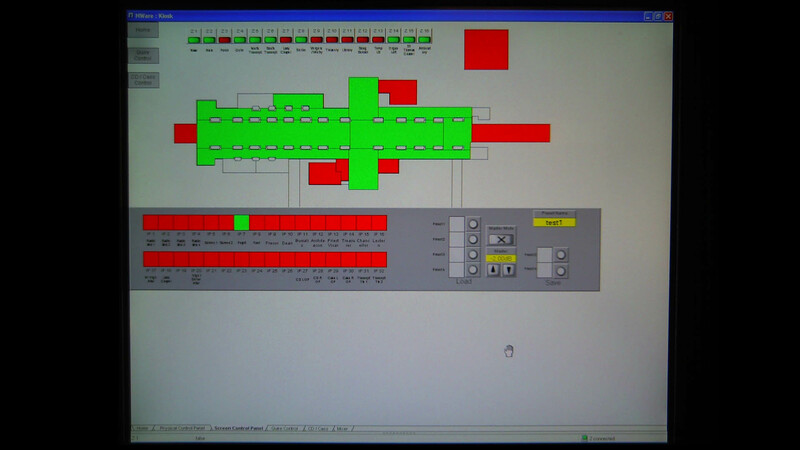 To achieve this, we specified a digital mixing and control system operated from a touch screen interface on a wireless tablet computer. The specially designed interface uses simple presets for specific services and functions to be selected with a single button press. 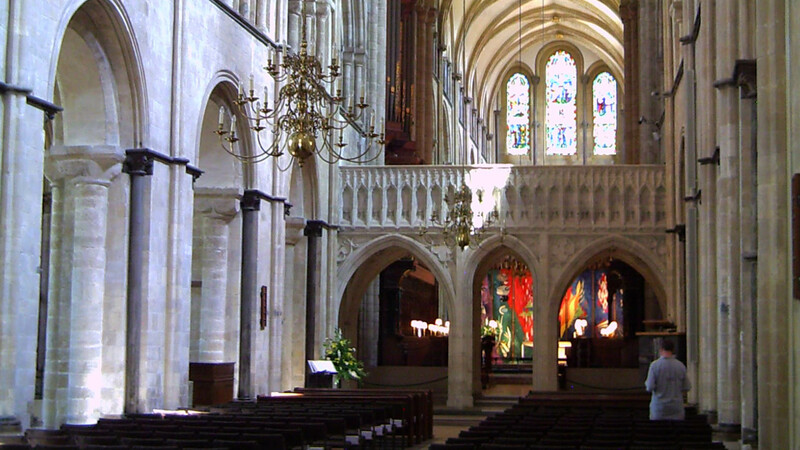 A graphic representation of the Cathedral shows which microphones and loudspeaker zones are active at any time. Each microphone and loudspeaker zone can also be manually selected and the volume can be adjusted using the on-screen interface. The system was expertly installed by R G Jones Ltd and was completed in early 2007.